The Rev. Todd Glacy, of Sacred Sound and Living, performs his song "We Are One" as representatives from more than 25 faith traditions and community groups gather at the University of Southern Maine to share expressions of support Wednesday. The Rev. 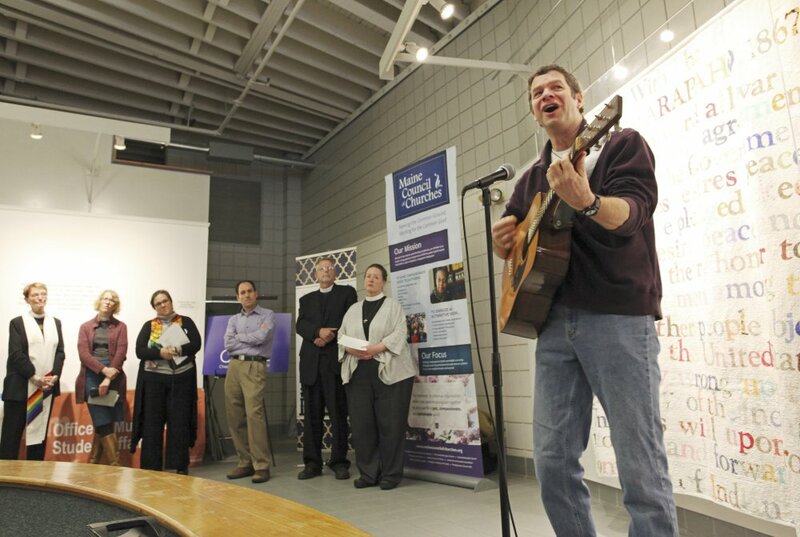 Todd Glacy, of Sacred Sound and Living, performs his song “We Are One” as representatives from more than 25 faith traditions and community groups gather at the University of Southern Maine to share expressions of support Wednesday.